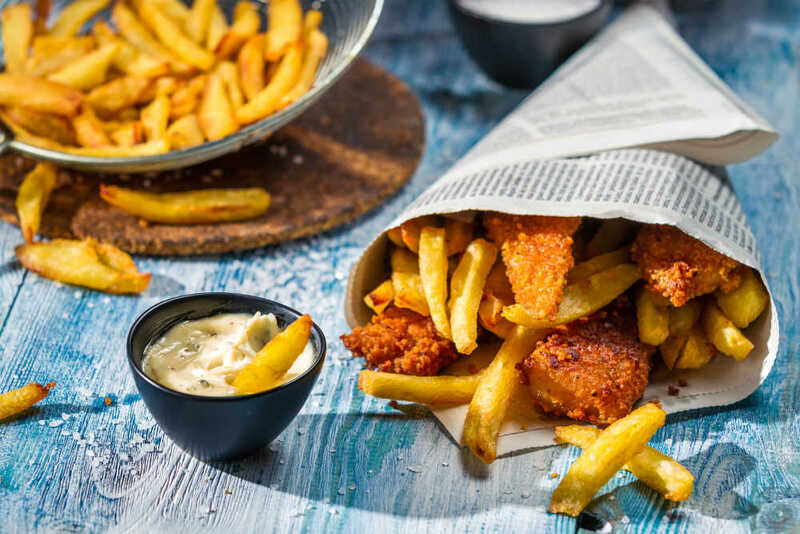 The famous fish and chips, fried sausages and bacon for breakfast or just a cup of hot tea? From savoury to sweet, the British kitchen offers several dishes that you should definitely try. Find a variety of restaurants and street markets in London. Enjoy! Try the typical British fish and chips at Poppies in London. Order one plate and share! One of the most famous restaurants to devour a "Full English Breakfast" or "Sunday Roast". Look at the menu and start the day hearty! Enjoy "Afternoon Tea", one of the United Kingdom's finest culinary traditions, at the famous English Tea Room at Brown's Hotel. 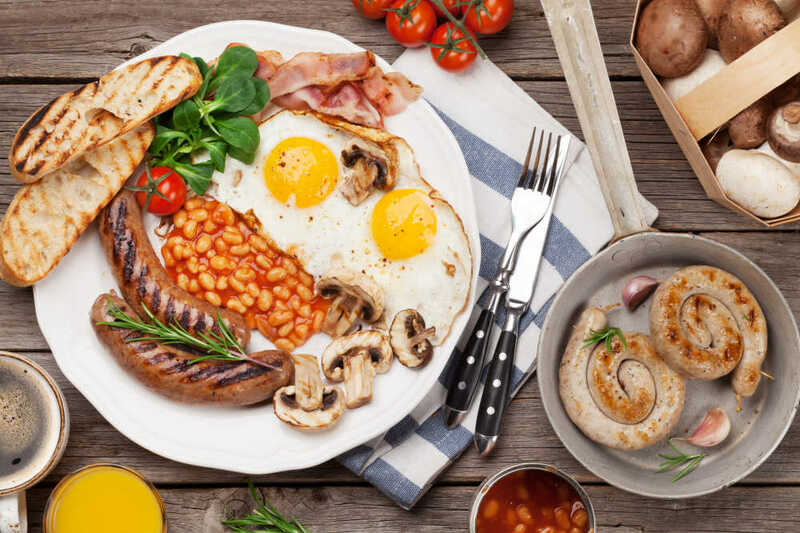 Whether you would like to try a "Full English Breakfast", "Beans on Toast" or "Sponge Pudding", since 1990 the Pellici family offers a great selection of the British kitchen. The Test Kitchen distinguishes itself from other restaurants by their concept: the menu is constantly adapted to the wishes of the customer. Almost on top level? And delicious food? Exclusive dining with a great view at Oblix, located on the 32nd floor of The Shard. 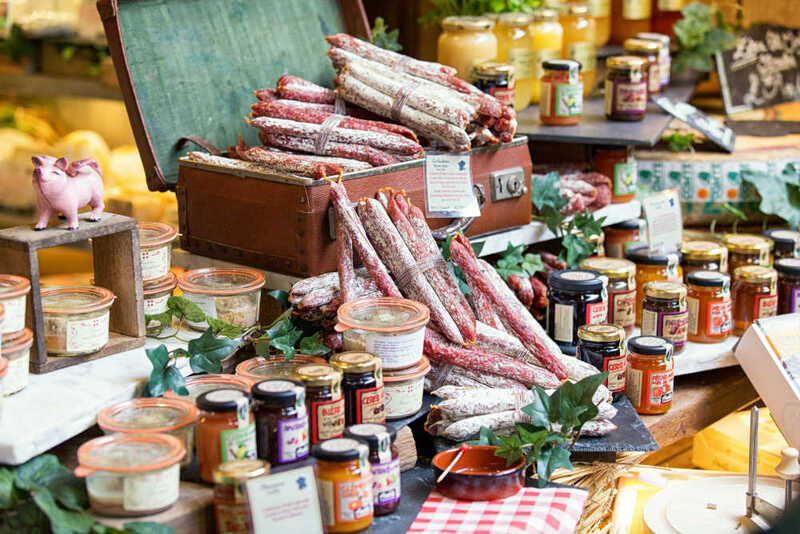 Visit London's oldest food market, Borough Market. The market was established in 1885 and has a variety of food stalls. Over 1000 shops, food kiosks, bars and cafés next to Camden Lock. You won’t leave hungry! At the vibrant heart of Soho, Berwick Street Market offers one of central London's finest street food experiences.